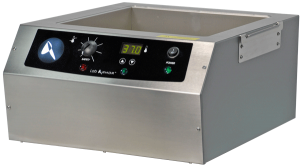 Laboratory baths are essential instruments in order to perform a number of general lab applications, such as defrosting; cooling and warming liquids; practical science demonstrations and experiments; and maintaining temperature control of samples. 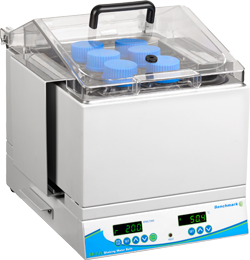 Our catalogue offers a large selection of laboratory baths from Benchmark Scientific, with temperatures ranging from -15°C to +200°C, all of which are designed to heat materials gently and gradually to a fixed temperature, or keep materials warm over an extended period of time. 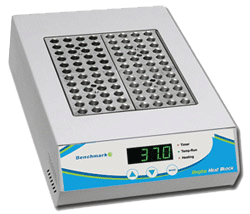 Our dry baths use dry heat to heat aluminum block inserts which then heat up samples, whereas our water baths use water inside a chamber to heat samples as well as cool equipment.